What a pleasure it was to supply the plants to the recently completed Salvation Army project on John Melton Black Drive. In years to come, the lush green gardens created will give its residences’ some space to enjoy and relax whilst they recover. The landscaping was completed by local landscaping master, Wade, from Northern Land Design. 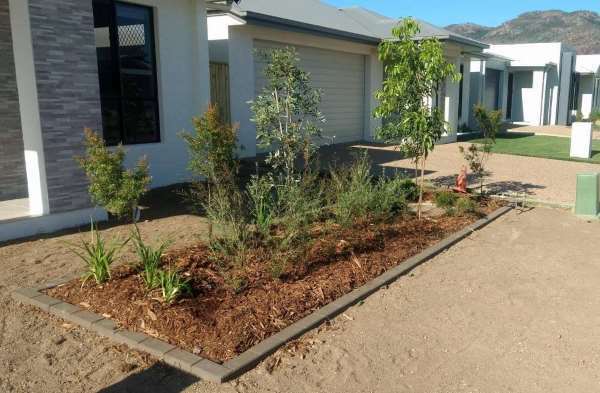 With the plants, hardwood tree stakes, tree ties, and fertiliser supplied by Project Plants Trade Centre. These companies proving that even the big jobs can be completed to an extremely high standard by utilising local businesses. View the currently available stock and place your order here. Get in contact today to support local business and get your project underway! Creating a garden is one thing; but creating a garden with the Birds and Butterflies in mind is another. It is true any garden will help create a sanctuary to those smaller creatures amongst us, but there are some plants that are essential in creating a useful habit for specific creatures. We are extremely lucky here in North Queensland to be home to the Cairns Birdwing and Ulysses Butterfly. It is hard not to be in awe of such beauty: Ulysses for their stunning blue colouring and fleeting movements and the Cairns Birdwing for its size, colour and grace. Three plants for any gardener and landscaper to know are the Melicope rubra (Little Evodia), Melicope elleryana (Evodia) and Aristolochia tagala (Native Dutchman’s Pipe). It is true that natives do provide the best for our native birds – but don’t discount how our feathered friends can adapt. Plants such as Metrosideros ‘Little Dugald’ (native to Polynesia) get covered in bright red bottle brush type flowers. I have witnessed countless Honey Eaters gorging on these spectacular flowers. However, natives are the best in general for food, shelter, nesting and procreation. The best for the Townsville region (but not exclusively) is the Callistemon – commonly known as the Bottle Brush. Callistemons have come a long way – there is a large variety in sizes and colours. From your border plants (under 1m) to your trees (up to 5m). 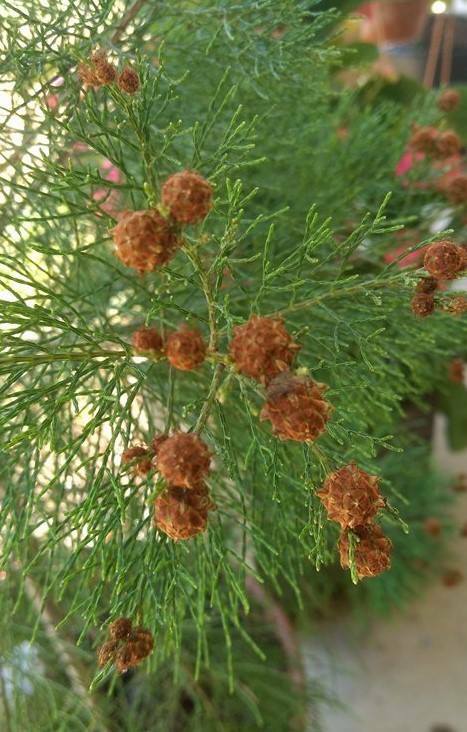 Here in Townsville we are lucky that our Callistemons will flower many times a year – not just spring! By choosing Callistemons you are guaranteed your plants will be busy with Rainbow Lorikeets, Honey Eaters (including the stunning Blue Faced Honey Eater), bees and butterflies of all types! 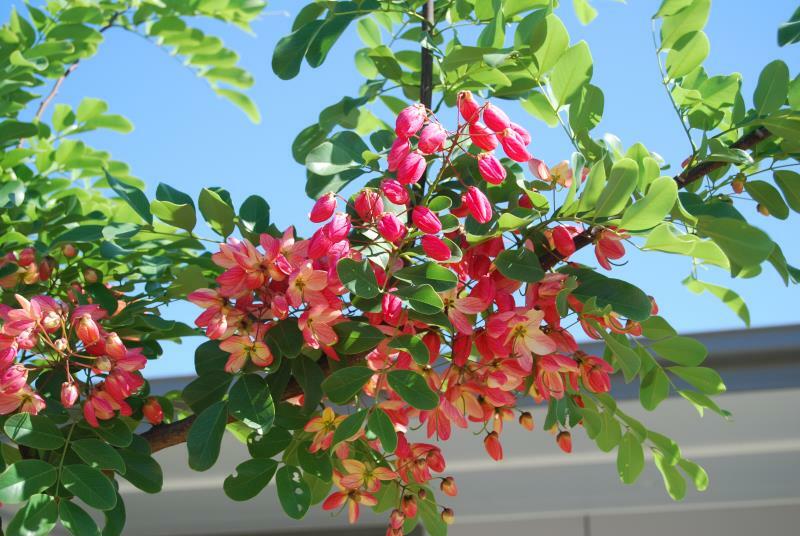 Other plants to consider are Buckinghamia celsissima -Ivory Curl, Banksia integrifolia -Coastal Banksia, Mimusops elengi -Red Condoo (for the Native Silkworm), Syzygium various –Lilly Pilly and Melaleuca various –Paperbark. Contact us now or check out our ‘Availability List‘. You can check out our current availability list and place your order or contact us now for your own landscaping project. We also sell fertiliser, hardwood stakes, tree ties and other accessories. Whilst we are trade focused, we are open to the public by appointment. Gymnostoma australianum is endemic to a restricted area of the Daintree Rainforest. A rare, native and collectible pine. 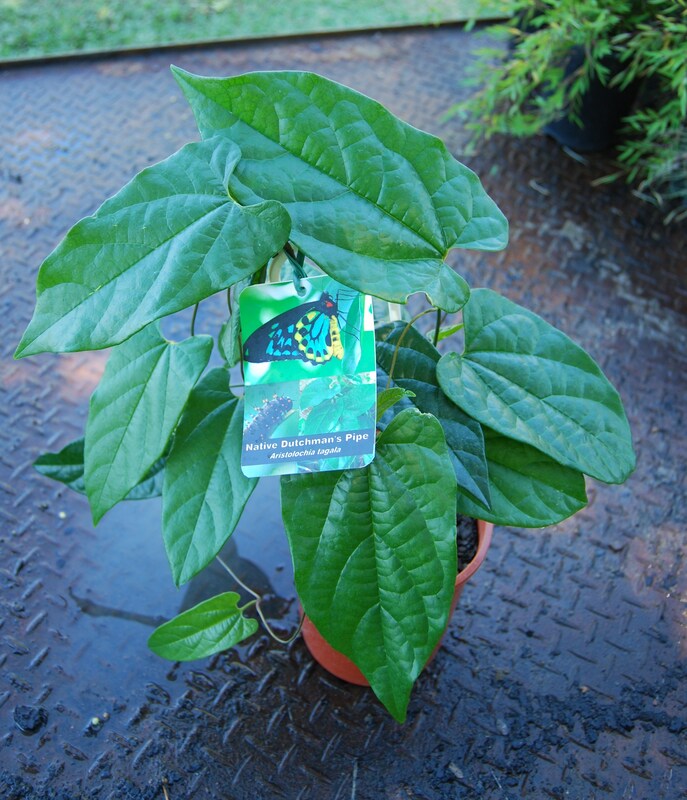 Perfect for those who love to collect rare plants – it’s an added bonus that it happens to be a North Queensland native too! A compact pine that grows between 3-6m with a naturally beautiful conical shape. It is so naturally beautiful you will not need to get the pruners out often – if at all. It can be used as a singular feature tree or plant it in a row to line a driveway or garden bed. Although it comes from the Daintree Rainforest this Pine is proving that it is tougher than once thought. Although it has not been tested in many area due to its rarity – a standalone Daintree Pine on Castle Hill that is exposed to all the elements is proving that it is adaptable. However, we do recommend to be in a mulched garden with irrigation for best results. 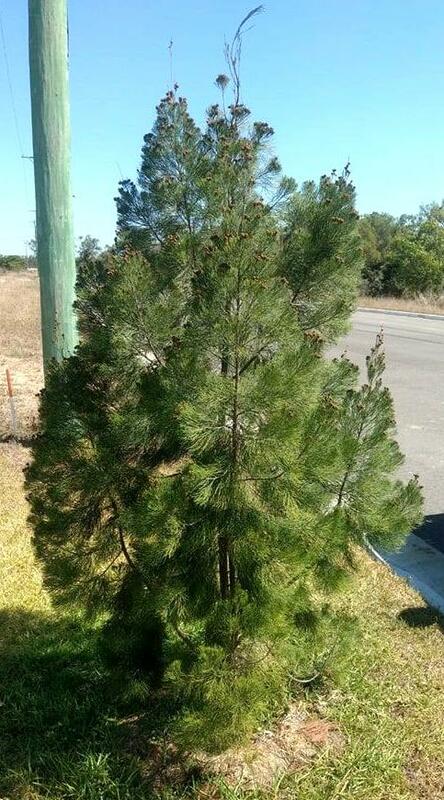 Also known as the “Daintree Christmas Tree” it is a perfect alternative at Christmas time. This Pine is not always easy to come by, so at Project Plants we do our absolute best to stock them whenever they are available. Contact us today about this absolute ‘must have pine’. Townsville is dry for a vast majority of the year, so it makes sense to invest in plants that not only can cope with the dry but also flourish. An unusual ground cover that will be a talking point of every garden it resides in. With a height to 30cm length to 1.5m it is great for mass plantings, cascading over a retaining wall, general ground cover and perfect for weed suppression. Another great feature of the ‘Cousin It’ is that it can tolerate a wide range of soil types – even tolerant of poorly drained soils. Project Plants Loves the ‘Cousin It’ and gets them in all the time. Check out if we have any at our Plant availabilty list. Contact us for more details about any plants for your next project. Project Plants Trade Centre exists ‘For the Landscaper’ Our whole focus is on supplying professionally grown, landscape quality plants and allied products to the trade market. The only thing equal to our focus on a quality product, is the service that we will provide you. Professionally grown plants sourced from regional production nurseries (where available), to ensure that local business’ are supported first. Hardwood stakes, fertilisers and other allied products. Our list is always growing. A delivery service directly to your job site, at a time that suits you. Open communication between Project Plants and you, the customer, to ensure that any feedback, concerns or queries are handled in a professional and efficient manner. When we open our site, a Trade Centre where you can pick out the best plants for your job, load them onto your ute, truck or trailer, and take them to the job site yourself. Here at Project Plants, we would also like to offer our newest customers one free delivery directly to your job site in the Townsville area. Head on over to our live stock list to see what we currently have in stock. Remember, we are plant sourcing specialists. If we don’t have it listed, chances are high that we can get it for you. It may even be coming in on our next delivery truck! What are you waiting for, Contact us now, and your business’ plant sourcing problems are solved, for the long term. The only accurate available stock list in Townsville! We have recently released an exciting new feature of our website. A live and accurate available stock list! It features everything that we have in stock at the time. Plants, Hardwood Stakes, Ties, Accessories, and fertilisers. Why have we done this? To make it easier for you, our customers, to find what you are after, so that you can get on with the job. We think a quick, easy and accurate list will make your life easier. You may even find some inspiration or a different plant that you haven’t used before in your projects. Search by botanical name – we even link to google search for you, if you aren’t familiar with the species! The list contents is always being worked on and expanded nearly every day, so be sure to bookmark it and return to it when you need to source your plants for your next job. Also, be sure to check out our Featured products page to see what’s new or on special this month. We will be opening a ‘bricks and mortar’ store front soon. Currently we are working out of the back of our delivery truck. This doesn’t mean our service will suffer for the Townsville region.